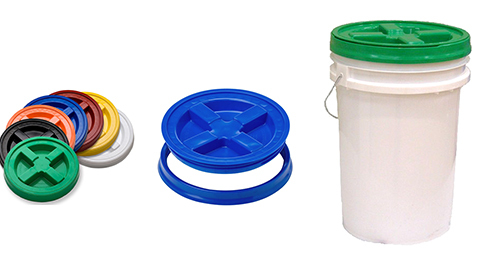 Transform your bucket into an airtight, water tight, pest proof container. The Gamma Seal lid is a two piece sealing system comprised of a universal adapter ring, and a threaded replacement lid. It is great for food storage, paint buckets, garage organization, aquatic adventures, pet food and a whole lot more!